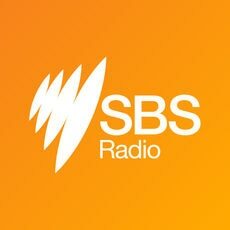 The SBS Radio Services Review outcome took into consideration changes in audience listening habits, the migration to digital platforms, demographics and financial parameters. Anjali D'Cunha heter vinnaren i SBS språktävling som vann i kategorin 13-15 år gammal. Här berättar Anjali och hennes mamma Raakhi om den Svenska kulturen och språkets betydelse för familjen. Teresa Forsgren pratar Sydsamiska, ett av Sveriges minsta språk. Hör historien om hur familjen hörde av en slump språket talas i en affär, och hur dom förstod att språket inte var helt utdött . Nu kämpar 22 åriga Teresa för språkets över levnad. Are Swedish dads better at parenting than Aussie dads? Why Swedish dads are more engaged in parenting than their Aussie counterparts. Scandinavian Festival in Brisbane – a huge celebration of all things Scandinavian, according to Danish Ambassador to Australia, Tom Norling. SBS Journalist from the Norwegian Program Frank Mathisen talks to Danish Ambassador to Australia, Tom Norling about Scandinavians, and why the Scandinavian Festival in Brisbane is important to our Scandinavian identity. The autumn budget proposal from the Swedish Government gives generously to health, defence, the police and the judicial system. The Swedish economy is doing well and there are many winners in the Governments autumn budget proposal. Health, defence, the police and the judicial system get increased funds. Göran Löwing reports. Troubles of unity within the Conservative coalition, lots of voters in the Church Election and Nordea moves its headquarter to Finland. Some facts and figures behind Swedish paternal leave. Ann-Zofie Duvander, Professor of Sociology at Stockholm University, has studied parental leave with a focus on fathers. She explains how the system in Sweden works today. The Swedish Speaker of the Parliament (Riksdagen) is on an official visit to Australia. Swedish Dads are among the best dads in the World. At least when it comes down to spending time with their offsprings. Johan Bävman talks about his photo exhibition "Swedish Dads". Another Swedish dad living in Australia, who has been home on Parental leave with his son. Martin Grävare talks about the importance and joy of being a there for his son Kalle. Lots of things going on in Swedish politics. The leader of Moderaterna Anna Kinberg Batra has resigned. And the flood light is now shining directly on Prime Minister Stefan Löfven in the so called Transport Scandal.